The Museum of Science & Industry joined forces with catering partners Levy Restaurants UK, to host a food sustainability event as part of Manchester’s European City of Science programme. The event brought together individuals and policy makers concerned with the sustainable food agenda across Greater Manchester. Representatives from the events focuses on promoting healthy, sustainable food and building knowledge and skills within the community. The Museum of Science & Industry, a Lime Venue Portfolio member, has worked collaboratively with the European City of Science Programme organisers to support the wider objectives of the event by creating a menu that celebrates the region’s food. Delegates at the event dined on local favourites from Mini Bury Black Pudding Sausage Rolls, Lancashire Cheese Scones with Homemade Chutney, Fleetwood Haddock and Leak Croquette, and Mini Manchester tart. 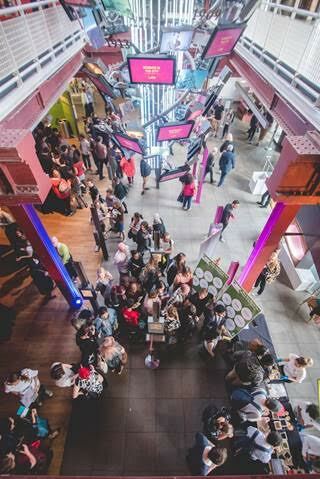 General Manager Michelle Jackson of Museum of Science and Industry who are delighted tho host the event commented, “The event is part of a wider celebration of Manchester and surrounding region so we wanted the food and drink on offer to play its part. As a city we’re delighted to be the European City of Science and it’s a great privilege to host one of the key events in the programme. People who come to our venues care that the food they eat reflects the community nature of the attraction they are in.